Access to reliable, affordable and clean energy is United Nations Sustainable Development Goal 7. Achieving it means providing electricity to 1 billion people and clean cooking systems to 3 billion people worldwide by 2030. Five African entrepreneurs were selected to receive the inaugural “Energy Access Booster” awards. The winners were announced during the Unlocking Solar Capital: Africa conference, held in Kigali, Rwanda on November 7th and 8th, 2018. The awards are being presented to entrepreneurs who are implementing energy access projects in Africa, with a focus on four sectors: green mini-grids, sustainable mobility, refrigeration, and energy for drinking water and agriculture. The awards are being sponsored by TOTAL, ENEA Consulting, Acumen and Sustainable Energy for All (SEforALL). Operating in Kenya, Tanzania and Zambia, Agsol is a product development company replacing laborious hand labor and diesel machines in rural areas with solar-powered agricultural transformation equipment. 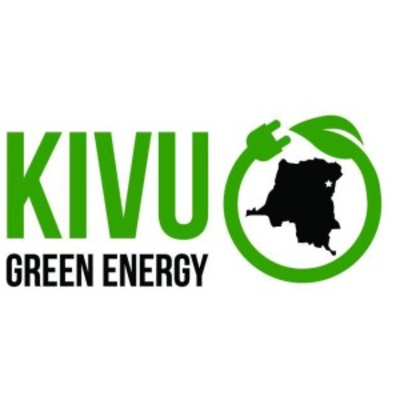 Operating in the Democratic Republic of Congo (DRC), Kivu Green Energy is developing solar mini-grids in eastern DRC. Much Mangoes operates a solar mango drying unit in Kenya and is planning to develop a cold storage facility using thermal energy storage technology to reduce post-harvest losses and increase incomes for 200 mango farmers. Solar Freeze markets solar-powered refrigeration solutions to Kenyan farmers based on a micro-franchising approach. Operating in Kenya, Sunny Irrigation is developing solar irrigation pumps for small- scale farmers through a Pay-As-You-Go model. « We have been greatly impressed by the companies that applied to the Energy Access Booster and look forward to working with them to increase access to energy. We wish them all the success they deserve » said the jury. The winning entrepreneurs will be supported in their development during the next 12 months in the purpose of reaching the investment stage. They will receive strategic advisory consulting support and/or a financial contribution of up to $50,000 per entrepreneur, operational/local support, and visibility of the project. The organisers are pleased with the first results of this initiative, and look forward to working together in the future to support energy access entrepreneurs.